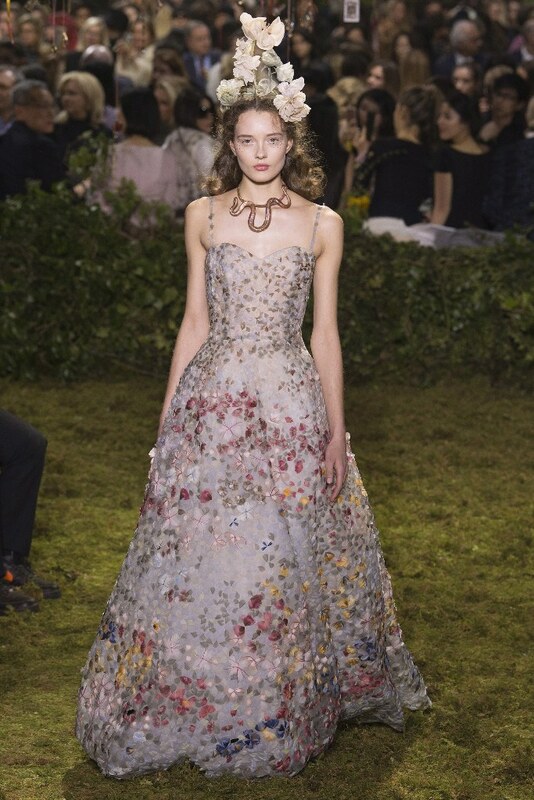 French luxury fashion house Christian Dior presented their new Haute Couture spring/summer 2017 collection today in Paris. 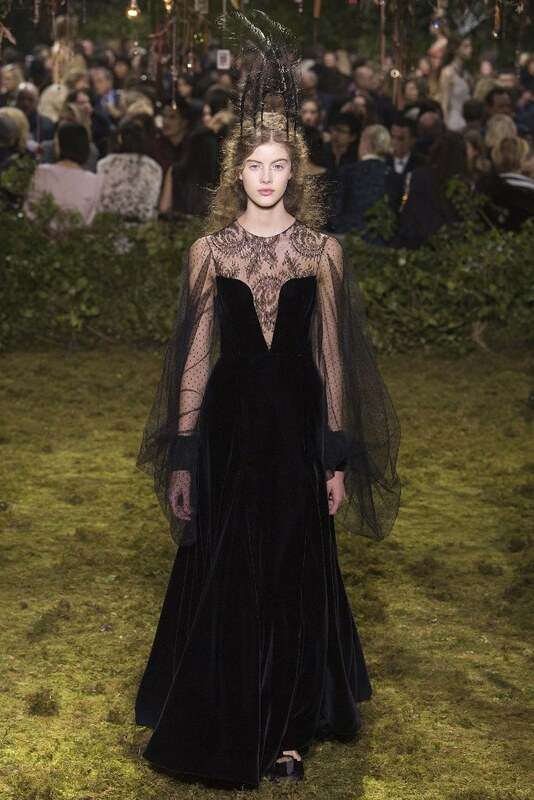 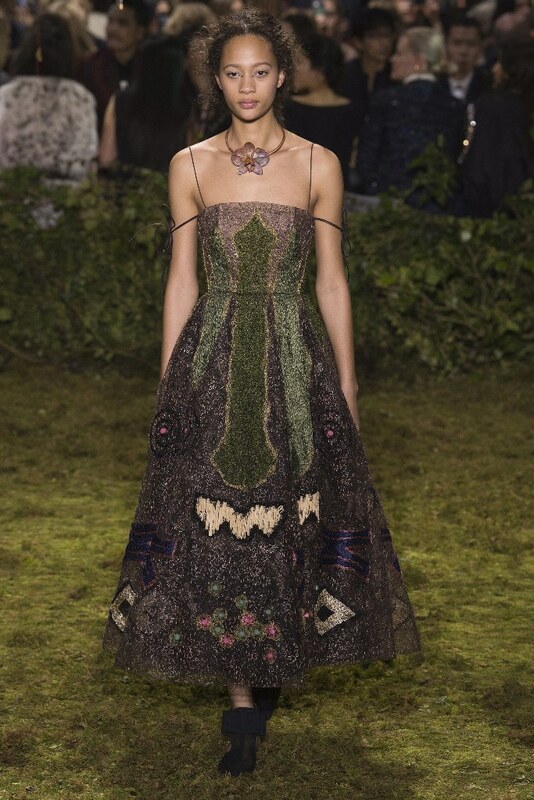 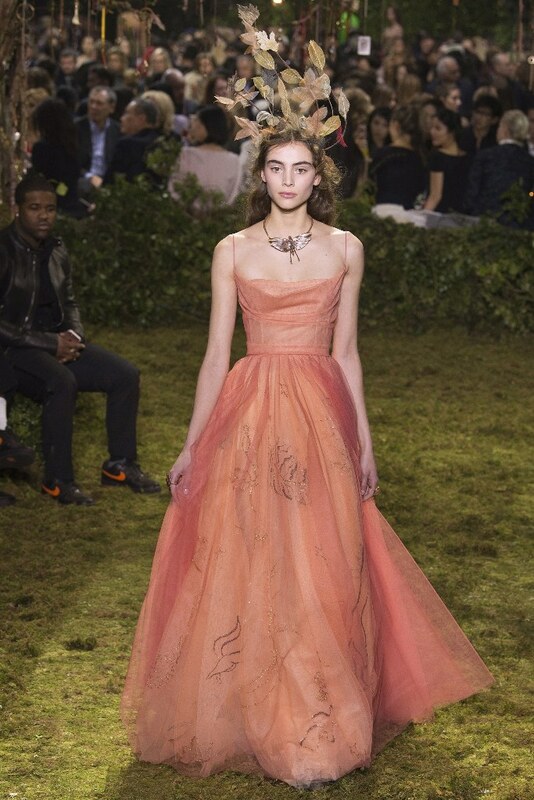 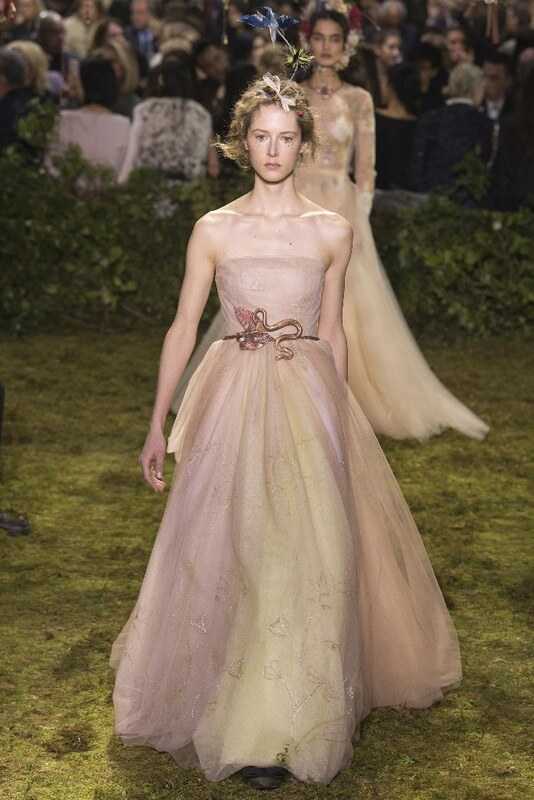 Dior`s new creative director Maria Grazia Chiuri presented her first Couture collection for this iconic fashion house. 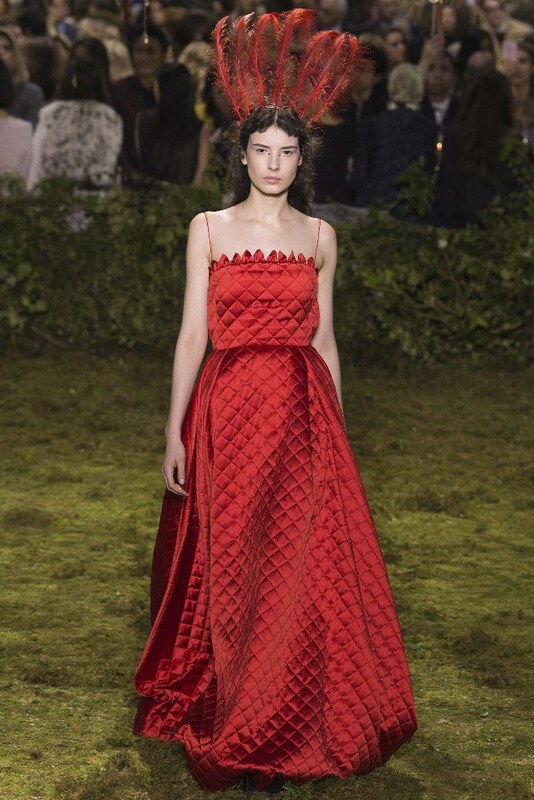 Dior’s first female artistic director spent some 17 years at Valentino before replacing Raf Simons. 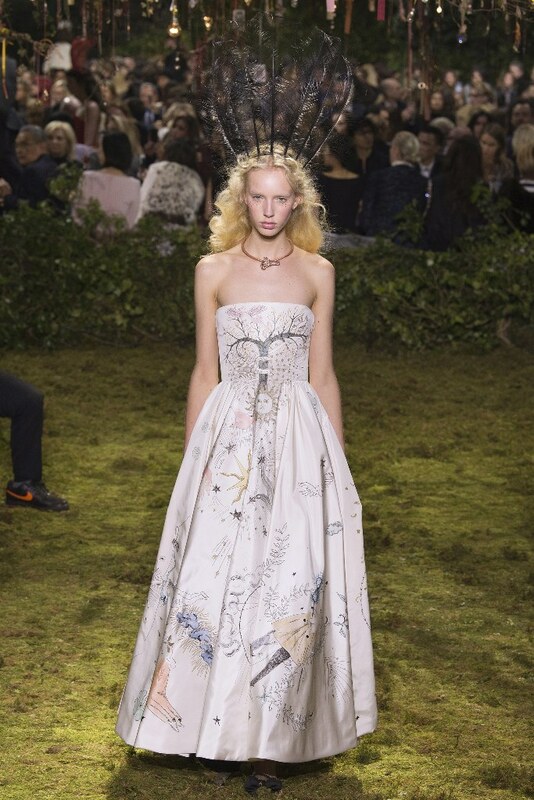 The designer turned a corner of frozen Paris into a verdant spring fairytale. 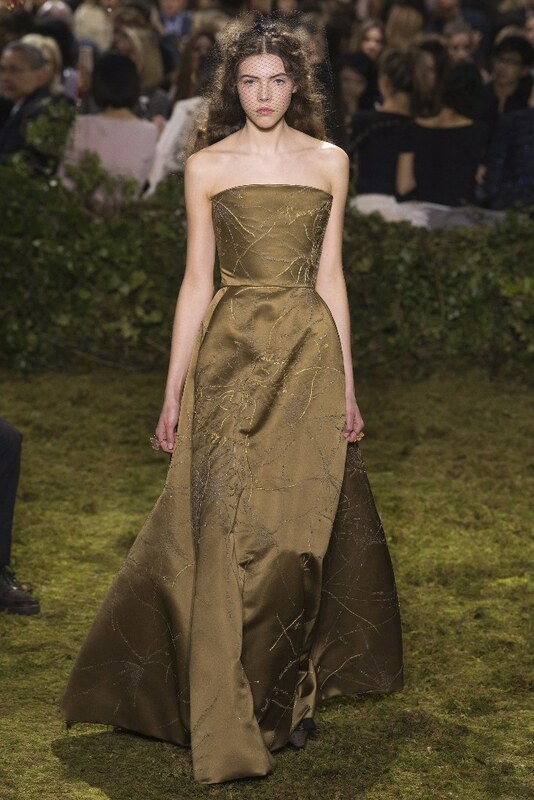 Models glided along a grass-covered runway at the Musee Rodin in Paris in fairytale-inspired gowns. 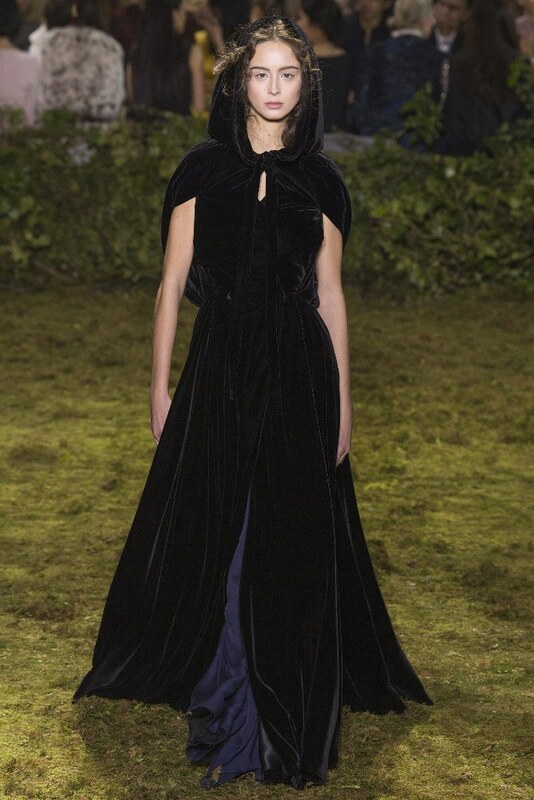 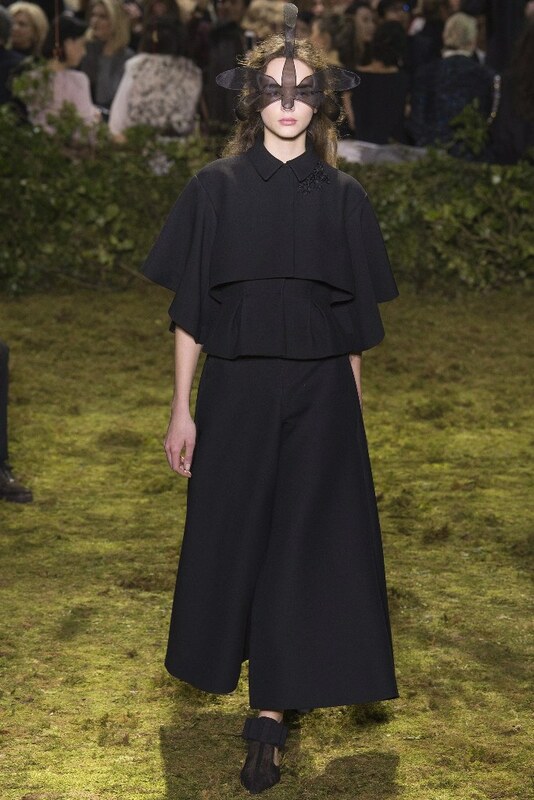 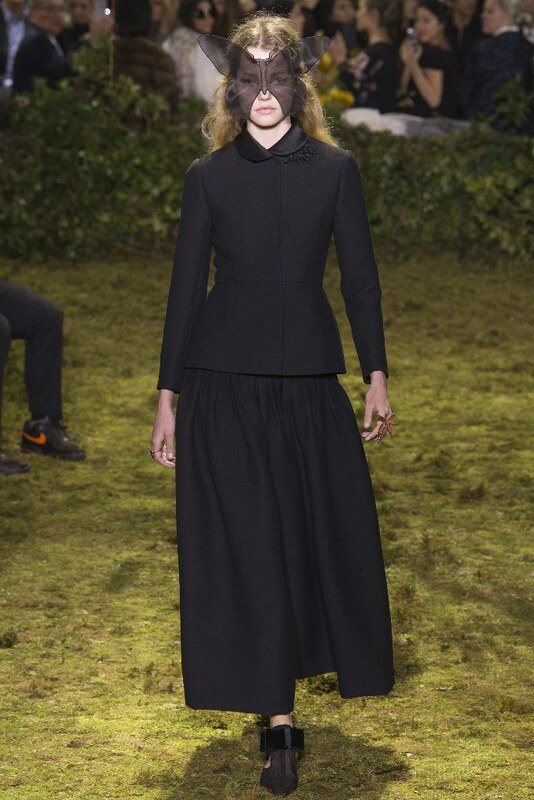 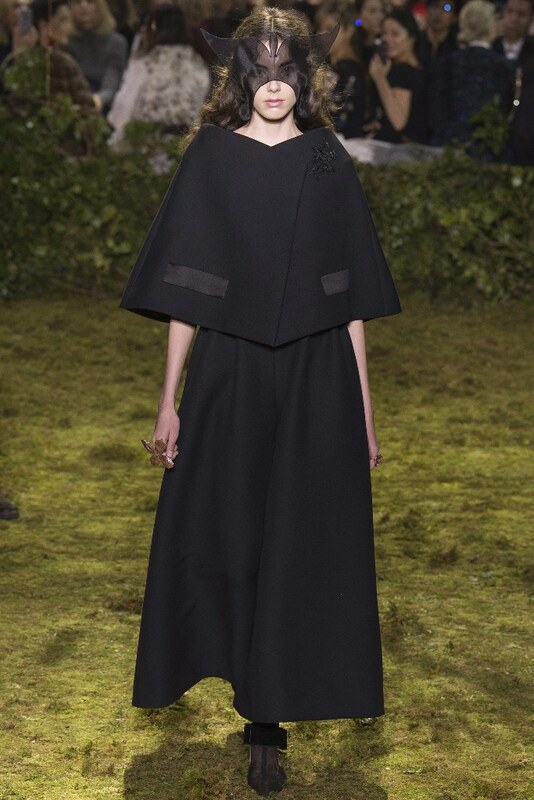 The focus was on whimsical floor-length gowns in stark contrast to her predecessor Raf Simons’ pared-back aesthetic. 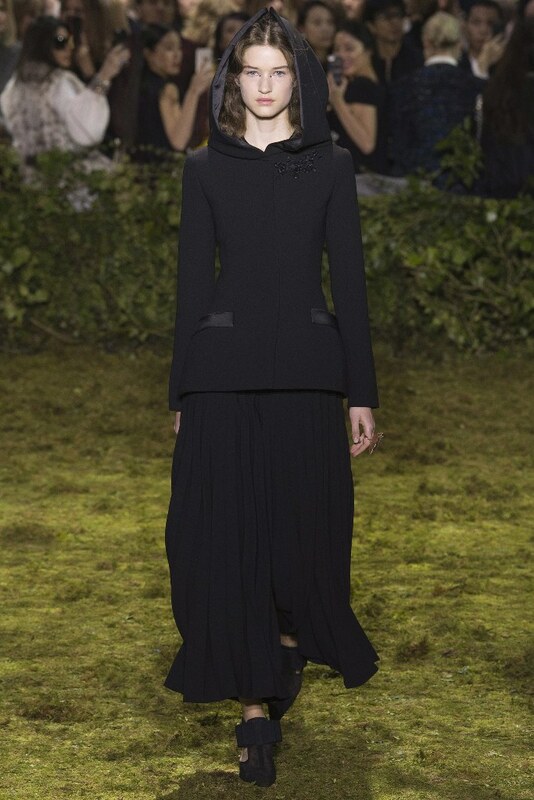 Dior’s signature Bar jackets were re-invented as capes with hoods, worn with lace tops and pleated skirts. 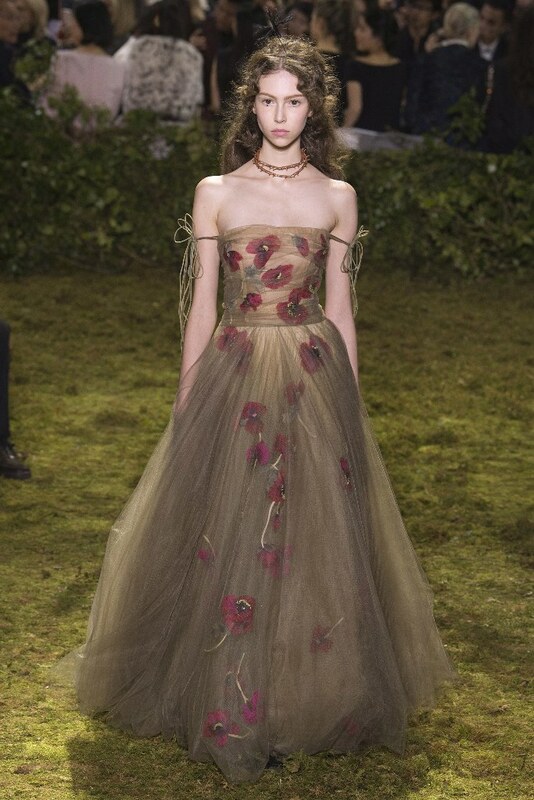 The models’ ethereal gowns were offset by their floral headdresses and tumbling curls. 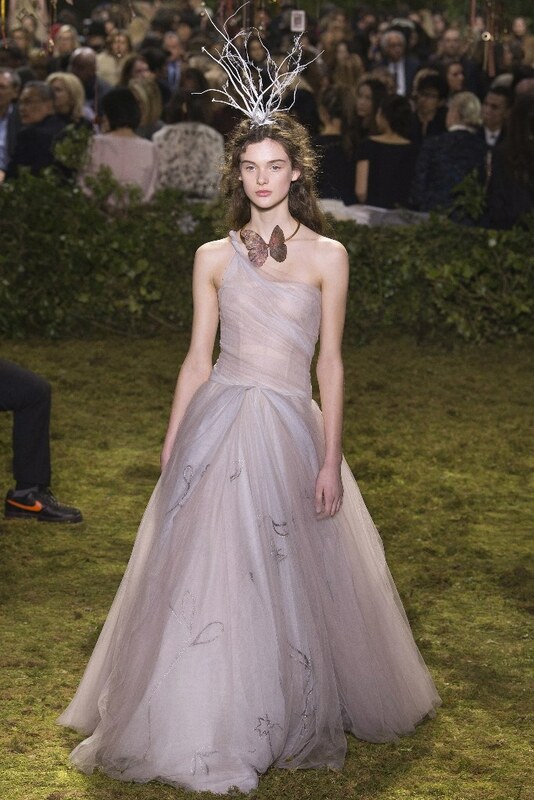 The natural elements of the headpieces were echoed in the jewellery – models wore necklaces embellished with butterflies or flowers.